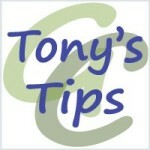 Gardening Tips from Tony, and from anyone else that wants to add their own special tips. Please add them as individual topics in the forum and give them a descriptive name to make finding them again easier. This topic contains 2 replies, has 2 voices, and was last updated by gertie 1 month ago. Hi Tony, please could you advise? I am going to sow some garlic bulbs that are sprouting. I know they are not especially treated for growing again, but I also know that they will grow well enough for me to eat! I am thinking of buying some tall, around 6″ clay pots and starting them off in the Glassroom where it is sheltered, bright and warm. Will they mature in these, or should/could they later be planted outdoors in a clean plot in GG? Or is this just a silly idea? I would value your advice if you have time please?